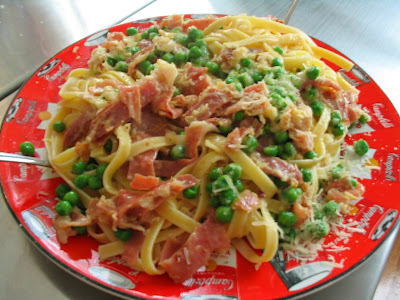 I've already tried several recipes and they've all turned out tasty :) Pictured below is fettuccine with prosciutto and peas in creamy cheese sauce. Yummers! 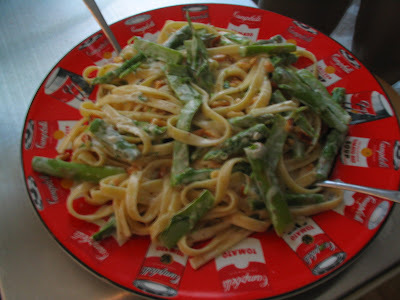 And here we have fettuccine with asparagus and pine nuts in a goat cheese sauce. Seriously unique - quite tasty, but a little weirder than the prosciutto stuff. 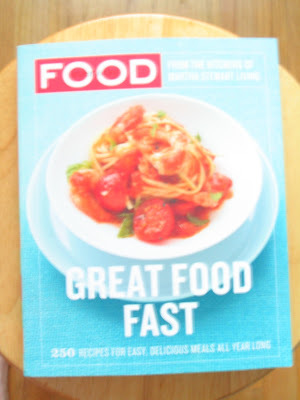 Now this picture has just decided to sneak in here even though it's not from aforementioned new awesome cookbook. 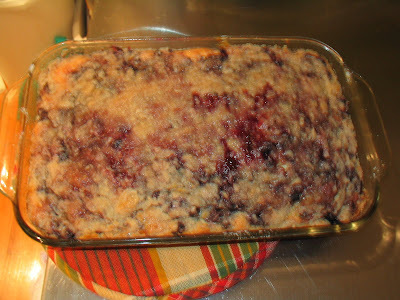 This here is an awful picture of a wonderful thing - blueberry buckle! It's extremely sentimental...my mom gave me the Better Homes and Gardens cookbook when I got married because her mother had given it to her as a wedding present as well. The first thing my mom made out of it was blueberry buckle - so I did the same. My mom cried a river when she gave me my cookbook (I was a wee bit early out of the nest), so this has very special meaning for me. Plus it is delicious and healthy! I substituted butter for shortening because I have less than zero % interest in partially hydrogenated crap. Cooking is so fun for me - I really love it because it's such a practical art form, and it's a lot of fun to play with food :) Last night I made a mixed grain casserole out of the BHG cookbook, and it was awesome! If I think of it, I'll take some pictures of it too when we eat the leftovers tonight. Believe it or not, last night was my first time cooking with fresh mushrooms! They are SO fun to cut. I definitely wanna cook with them some more. How healthy are they anyhow? I'm guessing they're at least very good filler. And tasty too! 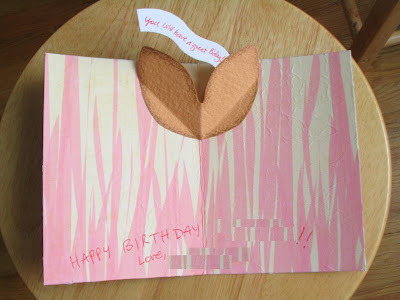 Gracias, for the birthday shout-out, that looks like a great meal! yummy! pretty too! what more could you ask for.